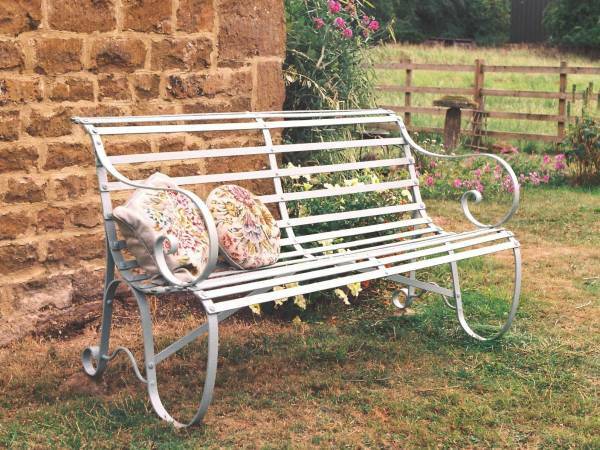 UK ironwork garden furniture made by English Ironwork - wrought iron furniture, outdoor furniture, benches, seats, patio furniture, ironwork, tree guards, rose arbours, metalwork England"
Since English Ironwork seats are each built to order we are able to offer our customers the opportunity to specify colour and length individually, or to choose from 'standard' specifications. Standard seats are available as 2-seater (width 1.2m) and 3-seater (1.5m) with a choice of 5 colours, painted prior to assembly to ensure all-over protection. 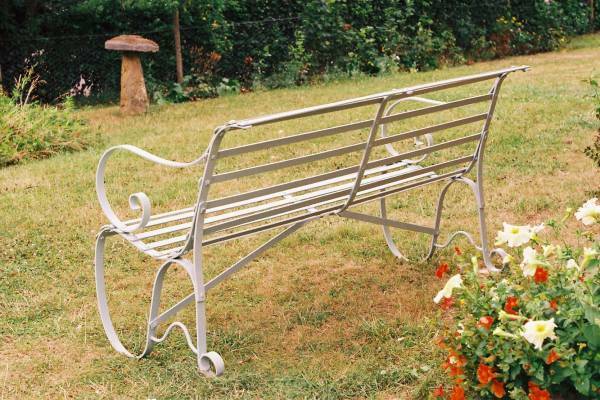 Galvanising is available as a further option for ultimate corrosion resistance. Normal delivery time 4-6 weeks. Further products are planned for the future, we welcome suggestions or other enquiries.